17th century theologian Jeremy Taylor is renowned for his devotional writings and his works have won a permanent place in English literature. This is the story of a Bishop who began life as the son of a Cambridge barber. Jeremy Taylor was a native of Cambridge who, after the Restoration of Charles II, became a bishop. His writings are among the glories of English spirituality and literature, and it is for this that he is chiefly remembered. His sermons and religious works were of such literary genius that he was often called “the Shakespeare of Divines”. Taylor was born on 15 August 1613, the son of a Cambridge barber who had the foresight to teach him grammar and mathematics. 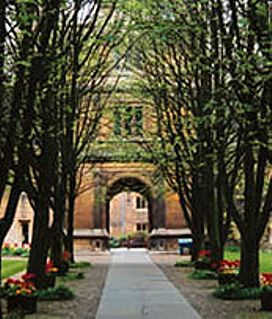 Young Taylor went on to be educated at the newly-founded Perse School and then at Gonville and Caius College. In 1633 he was elected a fellow of the college and was ordained when he was only 20 years old. His preaching attracted the attention of William Laud, Archbishop of Canterbury, who encouraged him to continue his studies, and he became a fellow of All Souls, Oxford. He later became Rector of Uppingham, in Rutland, where he married and settled down to the work of a country priest. He was well known as a spiritual guide and director, and people came to him from far and wide for advice and counsel. During the Civil War he was a supporter of the king’s cause and was Chaplain to the Crown. Charles I appointed him Rector of Overstone in Northamptonshire. He was captured and imprisoned after the siege of Cardigan Castle. The king is said to have given him his watch and some jewels before his execution in January 1649. Bishops in the Church of England were then abolished under the Commonwealth, and Taylor, who had been a strong supporter of episcopacy, was repeatedly imprisoned. During this time he produced much of his great writing: his apology for authorized and set forms of liturgy ‘against the pretence of the Spirit’, a book of twenty-seven sermons for ‘the summer half year’, and shortly after, a book of twenty-five for ‘the winter half’. In 1650 his great work, The Rule and Exercises of Holy Living, was published. It is a manual of Christian practice and devotion which has influenced Anglicans ever since. The following year the sequel appeared: The Rule and Exercises of Holy Dying. Both quickly established themselves as classics of Anglican spirituality as well as being some of the finest examples of English prose. In 1658, he accepted a position as a lecturer or preacher at Lisburn in Ulster, and on the Restoration of Charles II, when episcopacy was also restored, he became Bishop of Down and Connor, and also vice-chancellor of the University of Dublin. He was responsible for the building of the cathedral in Dromore, where he is buried. However, he did not have an easy time in his new post. Many of his clergy were Presbyterians who refused to accept his authority and were deprived of office, whilst the majority of the population was Roman Catholic. 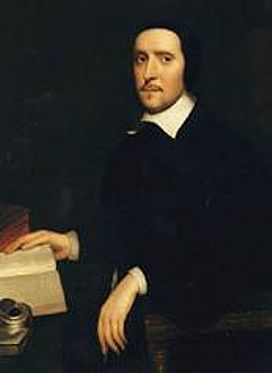 The difficulty of his position no doubt affected his health, and, catching a fever from a patient he was visiting, Jeremy Taylor died at Lisburn on 13 August 1667, two days before his fifty-fourth birthday. He is remembered as perhaps the greatest of the ‘Caroline Divines’, those Anglican theologians and writers of the mid-seventeenth century, a man of broad outlook and warm heart who wrote with great passion and belief, and whose conviction and faith still speak to people today. Coleridge placed him among the four masters of early seventeenth century literature, with Shakespeare, Bacon and Milton.